There will always be companies that are innovators, adapters and sadly those that are incapable of seeing the future of industry. This is the business equivalent to natural selection, unfortunately. America was once driven by the production of goods and as we transitioned to a more service oriented country, there was an evolution of sorts. There were companies that adapted and some that didn’t do so well. Those companies went the route of the steel mills in Allentown, Pa. The decline of a primarily production oriented world to a more service oriented world took a while to totally decline, but the transition of traditional to digital, that we are living through now is moving at a much faster pace toward its demise. Two examples of the extreme change and fast transition from a traditional to digital world is the release of the Beyonce album, or I should call it the Beyonce Digital Project because that’s what it was. Some are saying, what’s the big deal and who really cares. WELL, we all must take notice because the release of the Beyonce Digital Project was a game changer in the music industry. This album release will change how marketing is done moving forward and this change will not be limited to just the music industry. At one time artists had to go through a series of procedures and promotions to push a new project. Beyonce’s release flipped the script on the entire industry in a mind-blowing move that totally blind sighted the industry. She used the brand that she built by way of social media, to be her own team of brand ambassadors willing to plop down their hard earned money to grab that digital release. In this bold move, Beyonce went directly to the consumer, cutting out any and everyone in the process by releasing her music directly to iTunes to be downloaded digitally. THIS was HUGE and changed the game more that we could ever imagine. The second instance that displayed a step in a digital direction was Paramount dealing the deathblow to film, as we once knew it. Paramount will be the first movie studio to go all-digital with the distribution of their films. THIS IS HUGE! At one time, Paramount would release films in 35 mm format, which costs around $2,000. Now, due to going digital with the future releases of film, they can release films in digital format at around the $100.00 price point. The kicker here is that although this format is cheaper for the movie distributor, the smaller movie houses will incur the brunt of this move at least initially. These smaller and probably mostly independent movie houses will have to shell out upwards of $70,000 to become digital ready. This again, is a huge demonstration of the “adapt or die” philosophy, which will impact some business in an adverse way. Both of above examples are an indication that we are at the beginning of a full blow digital revolution. Organizations should take notice of the changes that are happening before their eyes, some will but many won’t. I’ve actually noticed that some organizations are not embracing digital at all but in fact, they are moving back to their toasty non-digital comfort zone. All indications point toward a mostly digital world so it’s advantageous to embrace the change sooner rather than later. Progress is never comfortable but is inevitable, ready or not. Although the changes that are happening within organizations are not as extreme as the two examples that I spoke of previously, companies still must adapt to a world that is moving closer to all digital. Below are four relatively simple things that can save your organization from the #DigitalApocalypse. There is an ongoing debate about content; it’s effects on SEO, if it should be called Content Marketing and more. Who cares about all of the back and forth and the correct phrasing, WHATEVER! What matters is that without content, moving into 2014, you will most definitely be screwed. The importance of content is irrefutable, you must have it and it must be GREAT. Content will effect your entire digital marketing plan, your social media strategy, your SEO and more. Content creation has become a $118.4 billion industry. Those numbers alone are an indication of the importance of great content. So prepare to become a publisher, outsource your content marketing or essentially become invisible online. If you think about the importance of content creation it is very logical, if you produce more quality content it increases the amount of content that is available to be indexed by Google. This is especially important after the Hummingbird changes with Google, which was a game changer for websites, indexing and SEO. NOW, it is just not enough to grab your local black hat SEO dude that promised to get you to the top of Google and have him buy some back links for you. In fact if you do that, you may not need content for quite a while, because Google may penalize your website or your website could even be banned. At one time the black hat SEO route, to increase search rank was a method that could get results, if only for a short while. Even if the results were temporary it would allow your neighborhood black hat SEO dude to run out his 3-month contract while looking like the magical SEO guru. NOW that is not enough, so black hat SEO dude may have to step his game up. The folks over at Google are pretty darn smart and are hip to those tactics. The days of black hat SEO are seriously numbered if not extinct. Leaving black hat SEO methods behind in favor of content creation is a great route to go and it’s an above board method of increasing rank with Google without the risk of being penalized. Content creation will allow companies, small and large to compete on a level playing field, for moving up in search ranking with Google. No matter the size of the company, if they produce great content and if they push that content by way of their social media channels THEY will reign supreme in the relevance game with Google. Great content allows you to present your company as an authority in your industry, increasing your rank on Google. Content will increase the likelihood that people will link to your website, this solves your back link issue. Hence, increasing your rank with Google. Great content shared on social media was not thought of as important a few years ago, but those days are over. Social Media is extremely important and sharing great content on social media channels allows you to appear “likeable” and this will increase your rank with Google. Great content with effective keywords increases your on page optimization and guess what? It will [let’s say it all together now] increase your rank with Google. There is NO easy button, no guru to bail you out and no work around. YOU must start to produce great content if you want to become relevant enough with Google to increase your ranking. Google is a business, just in case that has slipped the minds of folks. As a business it is their job to produce the best results for search queries because this allows them to generate ad revenue and to STAY in business. Gaming the system is not the best route to take at this time with Google. So guess what, either make a decision to dedicate yourself to the work needed to create great content that is worthy of being pushed higher in search ranking or your competitors will. It’s very simple. Mobile is not going away, primarily because we have evolved beyond talking on the phone that is attached to the wall. Beyond just the telephone aspect of your mobile device, it has essentially become a pocket-sized computer that forward thinking organizations are using for targeting a previously untapped demographic. At one time it was just enough for organizations to have a website that displayed the brand, company name and address. Then we progressed to having a Facebook page with a company brand and relevant content. 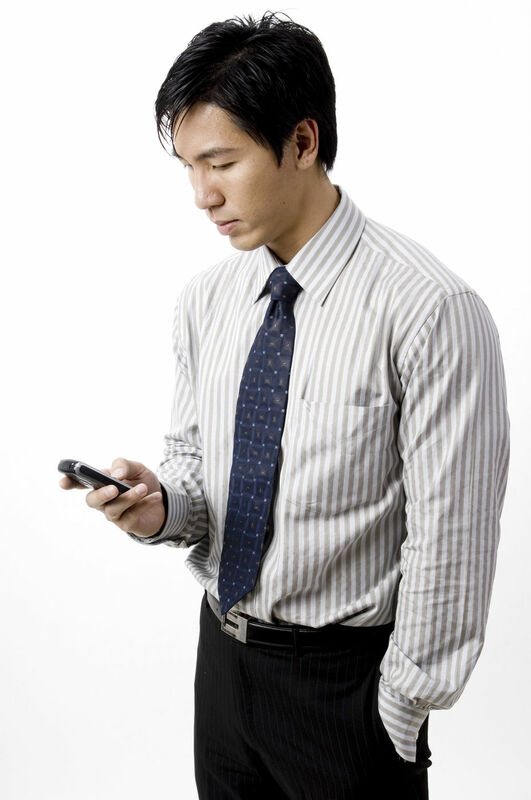 NOW it is not optional but imperative that organizations have a mobile presence as well. With the decline of desktop and laptop sales the increase in buying trends for mobile and tablets are hard to miss. I actually had a conversation with a Director of Marketing at one of the largest organizations in my area that said, “We do not need a mobile presence.” My mind slammed shut with a final, “Conversation Over” as she was obviously living through a #DigitalApocalypse. It doesn’t matter if you decide to go with a responsive design or traditional mobile design. It is, however imperative that your company’s online presence be viewable by mobile and tablet, this is no longer an option. #DigitalApocalypse is the disastrous phenomenon in which individuals; organizations and entities have selected NOT to embrace our new digital world. I will be the first person to tell you that I am not really a numbers person, but what I should say is that I am not a numbers person when those numbers have no relevance to my interests. I took a web Analytics class in grad school, I absolutely loved it and I was immediately HOOKED. This was a tough class for some but for me, the concepts immediately clicked. I think this is because I saw how beneficial these concepts would be moving forward. When I saw the heat maps and demographics I fell in love, in fact it was love at first sight. Oops I’m so sorry, I’ve digressed terribly. One thing that I immediately loved about analytics then and what I still love about it now is that it shows the data. You know where your visitors are coming from, you know how long they’ve stayed, you know which pages and content they’ve focused upon. I can never express the importance of analytics enough; because analytics display your success and bring attention to areas that you may need to focus upon more, in graphic details. If your brain rejects the word analytics think of it in terms of measuring your results, because that’s exactly what analytics are. Analytics measure the effectiveness of your campaigns, your efforts, and your time. They allow you to see what’s happening, what you are doing successfully and what you need to improve upon. You can have the most beautiful, fancy website with all of the bell and whistles imaginable, but if you have no data to analyze the successfulness of your web campaigns, your website is essentially worthless. This applies to traditional websites and mobile websites alike. There is so much back and forth about Google+, it always has been and probably always will be. I was a part of the original beta team on Google+, as were most of my digital marketer friends, so of course I have always been a huge advocate of the platform. Google+ has been improved upon since its original debut! The layout has improved substantially, Google integration has greatly improved and it has grown its user base. Although the improvements to the look and feel of Google+ have been spectacular what is more impressive is that content posted on Google+ show up in search results. This is why I don’t understand the push back about this platform. Why would we NOT want our content to show up in search results, after all that is WHY we are there right, why we are online, why we work so hard to increase our exposure, right? Increased exposure means more business and more sales, which is after all what most web presences are all about. If you want more exposure on Google start using Google+, it’s just that simple. Digital Marketing is a game changer on a worldwide level but organizations must have the ability to recognize the change and adapt in mid-stride sometimes, due to the quick nature of the changes. We are living through an exciting time for those involved with digital marketing and those that are willing to embrace the change. Lets all embrace the many changes that I anticipate are ahead and enjoy our brave new digital world. As usual, I welcome any comments, good, bad, ugly or indifferent. I can be found on Google+, Facebook or Twitter, so please circle and follow. 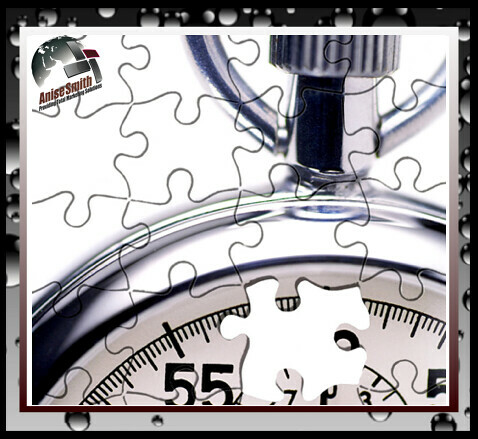 2013 is coming to an end, therefore it’s time to analyze, evaluate and make changes going into the New Year. We all make resolutions about, health, wealth and happiness so why not include changing our employment situation. This is especially the case if you are one of the 71% that hate their jobs. When I wrote the article, 71% of people hate their job; I was astounded by the response to the article. I was more surprised that there were so many people that were unhappy with their employment situation. Sometimes people can feel stuck in a situation due to a variety of reasons and they become very reluctant to make a move, so they just grin and bear it. It seems that there are up to 71% of the population that are willing to grin and bear it. Guess what people, we are moving into a new year so NOW is the perfect time to make changes in your life. More people need to be a part of the 29% that LOVE their job instead of the 71% that hate it. We are now living in a very digital world, so now we need to look at new ways in which we can gain the edge in competing for jobs. If you are a Digital Marketer, you may find yourself consulting, working for an organization or both. Sometimes as digital marketers, we do not effectively market OURSELVES as a BRAND and that is very important. If you are in a more traditional industry, chances are you are NOT marketing yourself as a BRAND either. In this increasingly digital world, all people that are looking for new opportunities should start to see themselves as brands so that they can compete in this tough job market. Most people are using some type of social media recreationally. So, if you are involved with social media even socially, these ten tips will be perfect for your 2014 strategy for grabbing your dream job. Whether you are a digital marketer or just someone looking for a new career path, it is imperative that you see beyond your present situation and come up with a creative way to change your career path. The first step is visualizing yourself, not as JUST a person trying to get a job, but as a brand. It is very important that you think of yourself as a BRAND and you should market yourself accordingly. A huge part of viewing and marketing yourself as a brand, is maintaining a very visual digital marketing footprint separate from the brands that you work with, if you are a digital marketer. It is GREAT to work in this ever-growing digital marketing industry but as digital marketers we must maintain our own digital marketing persona totally separate from the organizations that employ us or that we consult with. So, it is very important that we continue to develop and grow our own individual personal brand and digital footprint. If you are NOT a digital marketer you should start to incorporate some branding content into your personal profiles. It is very important that all people see themselves as marketers, if only to market oneself to the world in seeking a new or better career path. It is more important than ever to utilize social channels for career advancement in addition to traditional résumés and this is primarily due to the growing importance of our digital footprint. I’ve read on numerous occasions that traditional resumes are very close to becoming irrelevant because our entire digital presence is available online for all to see. More and more recruiters are utilizing the digital presence of employment candidates to get a better feel for potential employees before they even read resumes. This is one of the reasons that we must make sure that we have a positive and flattering digital footprint and that we continue to develop our own personal brand. 1. Logo: Create a logo for your brand. My brand is Anise Smith, so the first thing I did when I started to develop my brand almost five years ago was to have my name created in logo form. If you are creating a new logo make sure you have it created in 3 different formats. Have your logo created in EPS format, which allows it to be duplicated for print and web, PNG for use when you need a transparent background AND jpg for general use. 2. Uniform Branded Look: You should have a consistent branded look across all of your social media channels. So create your Facebook cover, Twitter layout and other digital collateral with the same branded look. 3. Facebook: CLEAN up your Facebook profile! I have seen some things in my daily virtual travels that would definitely be viewed as negative. If you want to promote a positive personal brand YOU MUST start with presenting a positive Facebook image. I am connected to my father, teenage son and many family members on Facebook, so I only share information that I would share with them offline. This is a great way to mentally keep your content clean and shareable. Don’t post information that you wouldn’t share with your grandparents, parents or children. If you wouldn’t yell it across the dinner table during a family meal, DON’T post it on Facebook. PERIOD! Before you hit the POST button, think about how an employer would view your post. If there’s even a question of how your post would be viewed by employers or just followers in general, DON’T hit POST. Better yet, picture your grandma peering over your shoulder while you’re writing your post. If grandma wouldn’t approve, don’t post. Facebook is a huge part of branding yourself and you should use it wisely. Assume that ALL potential employers will check your Facebook profile, because they probably will. So it is best that you put your best foot forward starting here. After you clean up your profile, showcase yourself. This may involve loosening some of your privacy settings to showcase certain areas of your profile. Make a cover photo that showcases your talent. Facebook covers are 851 × 316. Add your employment history, in the work and education section. If you attended college, utilize the education section to add information about your school. Use the project area to add the projects that you’ve worked. Facebook just added a section for professional skills; add your skills in this section. Don’t forget to use the contact us section to add your website, blogs and social media channels. Facebook can be utilized almost as a resume if you add the right content and if you are a little creative. Create a header for your Twitter layout, it should be no larger than 1252 × 626. Create a Twitter background with your contact information. Twitter backgrounds are 1920 × 1200. Display a presentable image of yourself. Add a descriptive; yet brief bio using 140 characters. The importance of Twitter cannot be overlooked in the process of branding yourself. Studies have shown that recruiters from the top employers in the country, are using Twitter as a way to recruit top talent. YOU want to be considered the top talent and you want to be noticed by these recruiters. So Twitter is essential! 5. Google+: There has always been some controversy about the importance of this platform. I’m not exactly sure why, since it is a GOOGLE platform. Most know that Google is pretty darn awesome. So, needless to say I’ve been a fan since the Beta release! Another reason to get acclimated to Google +, Facebook has been losing a bit of steam recently so it is very important that you create a profile on Google+. Additionally content shared on Google+ shows up in search results. Enough said! *Note* You can schedule your posts for Google+ and other social channels. I’ve used a few but I find that, Buffer is the best scheduling platform available. 6. Blog: I am really partial to WordPress but the most important thing is that you have a blog, which you contribute to regularly. So, select the platform that you are most comfortable with. [Wordpress, WordPress, WordPress, hmm, did I suggest WordPress?] A blog allows you to present yourself as an expert in your field utilizing your own content AND it allows you to provide this content to your social media channels. Additionally you can create a page on your blog for your online resume. A web version of your resume allows you the convenience of sending a link quickly from pc, tablet OR mobile device directly to anyone that is interested. Also, make sure that your blog is viewable by way of mobile device. So many people are mobile that it’s almost mandatory that your blog be viewable by mobile device. This also offers you the unique opportunity to respond to emails from recruiters and send a resume link right from your mobile device, within seconds. WINNING! 7. Triberr: If you have a blog YOU ABSOLUTELY MUST be a part of Triberr. If you are not familiar with Triberr, you need to become familiar quickly. Triberr is THE BEST platform to utilize if you want to get exposure for your blog. This platform is second to none! So, Triberr in a nutshell: It’s a platform that allows exposure of your blog through mutual sharing of content. As a part of Triberr you would join tribes of interest. After joining the tribe(s) you would then connect the RSS feed of your blog to the Tribe. This allows your tribe mates to share your blog content to their Twitter followers. Additionally all of your tribemates will have their blog RSS feed attached so that you can share their blog content with your Twitter followers. The Triberr platform allows you to multiply the reach of your blog through the mutual sharing of content. This platform is Google Juice for blogs and if you have a blog you need to be a part of Triberr, period. Check out Welcome to Triberr and the Guide To Getting Started With Triberr. 8. LinkedIn: Is probably the most important step you can take to meet contacts, extend your network and place yourself in the faces of recruiters searching for your expertise! Make sure you have a presence on Linkedin, make the proper connections, get endorsements, join groups and totally embrace this platform. MOST companies in search of top talent will be actively involved with LinkenIn, so make sure you have a GREAT profile and keep it updated. Use keywords in your headline and through out your profile. Use an appropriate profile photo. Add slideshows, links and blog posts to display your skills. Share professional content that is relevant to careers or your industry. Monitor your profile because you can see who has been checking you out. If you have a visit from a person of interest, visit their profile. They will now know that you have visited their profile and this may allow you to spark up a conversation. Follow companies that you have an interest in because you may be able to connect with people of interest at that company. Linkedin is one of your most valuable resources you can utilize, if you want to change your employment situation. 9. YouTube: Videos are a GREAT way to showcase your talents. So create a 2 Minute video to showcase your capabilities. Add keywords to any and all videos that you create because this will help Google to index your videos. Add your video to your website or blog. Share your video on your social media channels. Add your video to your LinkedIn profile. 10. BrandYourself.com: Allows you to monitor your digital footprint as it displays on Google. You will get a report if any of your digital marketing channels have gone up or have fallen down in ranking. This service is GREAT because it allows you to see how your brand is displayed on Google according to rank and it is FREE! Are you currently utilizing any of these platforms to brand yourself? Are you using different channels? Let me know! As usual, I welcome any comments, good, bad, ugly or indifferent. I can be found on Google+, Facebook and Twitter, circle me and/or follow me. We have moved full force into a world where marketing has become education based, NOT sales driven as it was in the past and this calls for a different route to be taken with marketing based initiatives. Content creation is rapidly moving toward being a huge driving force behind what once was traditional advertising, marketing and sales. This changes how we think about marketing in general and will require organizations to re-evaluate their marketing strategies. Based on these changes, the ability to create original, thought provoking and shareable content is not optional anymore it is mandatory. According to Ad Age’s survey, 55% of marketers have increased their content-marketing budgets this year and is expected to do so in 2014 as well. The companies that are forward thinking enough will be a part of this trend, those that are still old school will not and fall that much father behind in creating the digital footprint needed to present themselves as authorities in their field. At one time there were sales collateral produced by companies that were used to promote that company as an authority in their field. Traditional print pieces, brochures and magazine articles were once used to promote organizations but with so many people living in a plugged in world these channels are no longer as effective as they were during the print era. This is the dilemma, so what’s a company to do? It’s time for companies to take the shift in consumable media serious and open their eyes and minds to change. People are just not consuming media utilizing the channels such as print as much as in the past. Media or content is consumed on social media channels and blogs by way of tablets and mobile devices. So it is imperatives that business who want to be viewed as authorities start to take content creation very serious. Businesses MUST start creating content AND publishing that content to the channels that people are utilizing! So let’s take a look at the what, when, why and how of getting started. This is the easiest question you can address because the WHAT of content creation is promoting WHAT it is your organization does. Every office has one or two people that are informed about EVERYTHING about the company. These are also usually the people that have been with the company since the company started. This person is a valuable source of information to a content creator! They are your brand ambassadors and they have the ability to provide the WHAT of content creation for your content creator. You should create as much content as you or your company can physically manage and post it as much as possible. If you get a content creator that is on their game they will be able to stretch out a small amount of content into multiple pieces of creative and engaging posts on a blog. This content can then be posted over a period of time. It would be a great idea to create a publishing calendar so that you can have an organized and consistent flow of content moving through your digital channels at all times. By providing an abundance of content this allows you or your company to become authorities within your industry. If you become an authority in your industry you can increase your exposure, improve Google placement and potentially increase sales. This is just a no-brainer. At one time the company with the biggest marketing budget was the company that had the most exposure and sales. The same thing applies here except we are dealing with online content, which has essentially replaced a lot of traditional marketing channels as a way to consume media. There are so many ways to create content and so many types of content that you can create, written, visual, video or a combination of all. The most important thing is to provide a variety of types of content and use analytics/insights to gauge the effectiveness of the content that you are providing. Some say that visual content does best, some say video but every audience is different. This is why using the data from analytics is imperative because it will allow you to see what kind of content your readers like. This allows you to create and share more of the content that is in demand and less of the content that is less than favorable. To get a better idea of the importance of creating content for your brand, take a look at the infographic below. As marketing changes so MUST the willingness of companies to keep up with the trends that will keep them ahead of their competitors and content marketing is one of those trends. We no longer have such a high demand for print, brochures but an increasing demand for blogs, newsletters, website articles, white papers, and special reports. Content creators are key to providing this type of content and it is essential that that content be original, engaging and shareable. So stop reading and get started with creating great content for your brand! As usual, I welcome any and all comments good, bad, ugly or indifferent. I can be found on Facebook, Twitter and Google+, find me, follow me and let’s strike up a conversation about content creation! Technology and Social Media can be as difficult or as easy as you want to make it. I’m not saying that it’s so easy, only that sometimes it doesn’t have to be quite as complicated as some can make it. Sometimes people make technology, social media and digital marketing a lot more complicated than it needs to be. This is usually because of lack of understanding, negativity toward online platforms, the need to use something that is new and shiny just because it’s new and shiny or a combination of all of the above. So I’ve decided to list a few very simple things that can be done to help you THINK of technology in a different way, a way that can create an easier way to get things done in the easiest way possible. The first thing you should really do is shift your mindset about technology, social media and Internet Marketing. Sometimes a persons mindset about technology can create unnecessary hurdles and complications. I think of technology as a way to make some tasks a lot simpler or as an easier replacement of tasks that have become obsolete. It’s really not that complicated. Take a look at a few things that you should consider if you want to benefit from technology and do so in the simplest way possible. Keep in mind, that all platforms and social media channels do not work for every brand, but it is great to give a few of them a go to see if they work for you and if they make some aspect of your daily work flow simpler! Embrace Social Media and its Growth: Social media has really taken the place of some traditional advertising and marketing methods that were mainstream a few years ago. So we MUST Stop fighting the growth of this technology! We should be at the point that we realize that social media is not going anywhere. We will NOT be able to roll back time, the horse is out of the barn, blah, blah blah. The point is, we should all be beyond denial that social media is here to stay. So we must make a conscious choice learn more and find a way to make this technology work for us. This is especially the case if you have a business because the use of traditional marketing ONLY as means of advertising and promoting a business is really a thing of the past. I don’t believe traditional marketing will ever totally fade but it has evolved into something different now and it has happened so gradually that we were unaware that it was happening. We hardly ever read newspapers or magazines anymore. Instead we turn on our computers, laptops, tablets and mobile phones which have fueled the growth of social media. So it’s time to embrace social media on a business level even if you opt out of it on a personal level because traditional advertising and marketing options are very limited and I’m pretty sure time will not go backward anytime soon. This is Simple, right? Keep only the Platforms that are good for your brand: After trying some of these Beta programs weed out the channels that do not fit your needs. Not all platforms are a good fit for all brands or sometimes a platform just does not meet your expectations. Both are good reasons to discontinue use of the platform. Simply, if the platform adds value and simplifies some of your processes, keep it, if not dump it. Simple. Use Facebook: Why there are still people that are resistent to Facebook and additional social media channels for business is beyond me. It’s not like there are an abundance of options available to advertise and market a business these days. We are not living in the 80’s. I cannot stress how important Facebook has become, particularly for businesses. Ok, we understand Facebook does have glitches, the platform changes every year and Facebook implements changes that we may or may not like. Well guess what, there are 900 million people on Facebook and if we have an opportunity as business owners to even reach a percentage of those people why wouldn’t we go for it? Facebook with all of its flaws has presented companies with an opportunity to reach out to their customers in a way that has never been presented before. Stop whining and use this platform for your business even if you chose not to use it on a personal level. If you want to be even a little competitive, expand your business, or be relevant online you much embrace this platform. Simple. Use Twitter: Twitter may seem stupid to some but Twitter works! This platform rocks for business, increasing brand recognition and customer service. It allows to you engage, reach out, become an authority in your field and increase customer interaction ALL within 140 characters for people that ONLY have time to indulge in you in these 140 characters, so make it good. Use G+: Whether you think Google+ is relevent or not is irrelevant especially when it comes to business. Google plus is an extension of Google which rocks on every possible level, it’s Google. This platform is NOT a Facebook replacement but it is an important part of any online strategy primarily because the use of Google+ will help with exposure, indexing and increasing your company relevance with Google. With the merging of Google Local and Google+ Local pages creates one more reason that you need to be utilizing G+ for your brand.. Just hit the +1, share content on Google+ and watch the results. Simple, right? Use WordPress for your blog: As a former WordPress basher I am quick to admit that I was wrong. WordPress is quite simply the BEST blogging platform available. I’ve tried others and WordPress has been the absolute best platform because of its ease of use and abundant plugins that creates a versatility and simplicity beyond any other blogging platform. It’s simple, use it. Go Mobile: A very high percentage of people use mobile devices to check Facebook, shop and visit other online websites. People have their mobile devices with them every waking moment so as business owners we simply MUST provide a channel in which visitors can view our online precence on their mobile device. NOT to do so, is cheating yourself and your business. Simple! Schedule Your social media: The use of so many channels and platforms makes it almost physically impossible NOT to schedule at least some of your business social media. There are a few channels that allow you to schedule your social media, one of which is Buffer. Simple, try it! 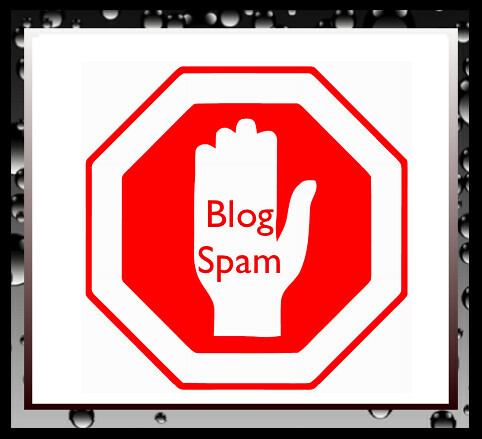 Do Not SPAM: No one wants messages spammy or otherwise shoved down their throats. That is very old school and just simply doesn’t fly in an engaging, social oriented world that we now live it. Simple Don’t Do it! 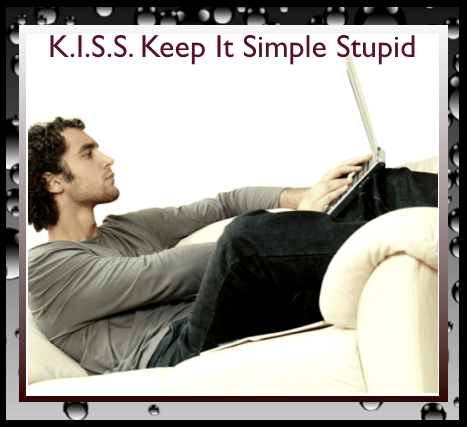 Keep It simple: Technology is an amazing platform and there are so many things to learn and utilize but technolgy and the use of technology should ALWAYS make something that is difficult, easier. The use of technology shouldn’t take a simple task and make that task harder. That is just STUPID NOT SIMPLE. So if any of the channels that you are utilizing creates a more difficult experience for yourself or the user, there needs to be an evaluation of that platform. I selected the platforms above because these are some of the most simple online platforms to utilize and should make workflow a lot simpler for a person or company. So when venturing into technology and social media platforms for the first time, remember it just doesn’t have to be that complicated, there are easy steps, easy to use platforms and the use of any platform should not complicate a task. I honestly never thought I would be a blogger and I think this was due to a bit of writer burn out after completing an accelerated Masters Degree in Internet Marketing in one year. Since the degree program was totally online, so fast pace and very writing intense I never thought I would want to write again after completing the program. However I’ve found that it has not been the case and that it is one of the things that I enjoy most about being an Internet Marketer. There are so many things to love about being a part of this changing Internet Marketing industry and blogging has moved to one of the top spots on the list of things to love, especially after finding my blogging voice so to speak. I have been blogging now for about two years, but I have just recently found my blogging voice. I think an important part of enjoying the blog process is the ability to find your voice because once you do, you then are able to build a great audience and take so much more pleasure from writing. The process for me has been mentally moving beyond what I think people want to hear to a combination of what I want to say and what needs to be said. This allows me to bring the very “keep it real” philosophy that I have in my off line life, to my blog. I am not an extremely talkative person offline, although I do speak my mind and talk when I have something to say of importance. So, when I decided to incorporate more of my own personality into my writing style it has really helped with the ability to continue the flow of conversation going, by way of blog post. Ultimately it has allowed me to have an ongoing source of topics that I use for blog posts. Be playful and have fun! 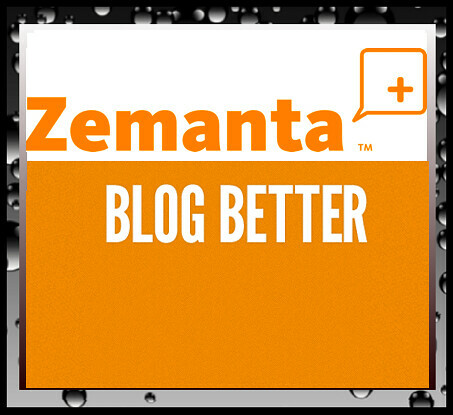 Have You Added #Zemanta To Your Must Have Blogging Tools? I started using Zemanta a little while ago as a way to really put a little zing into my blog creation and I really love it! 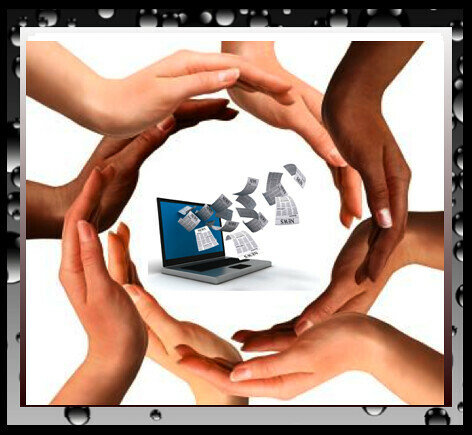 Zemanta is blog plug in that can be utilized for a variety of blogs. I use it primarily with my WordPress.com, WordPress.org and Tumbrl blogs and I really can’t imagine how I got along before I started using Zemanta. A brief overview, the Zemanta plugin allows you to utilize a variety of media to make blog creation easier by creating an avenue to pull in resources from online sources to make your blog rich with links and images. You first set up an account, add preferences and sources of content. This allows you to add the blogs that you will be utilizing, sources that you’d like your linked content to come from, Flick account for images and even your Amazon Affiliate information. After your information has been added to your preferences the real magic begins. When you decide to create a blog post after creating your Zemanta account all of the information that you added to your preferences will then be listed in a Content Recommendations box. You can then use images from a media gallery and or your Flickr images to created a more visually appealing blog post without searching images from around the net. The images pulled are based on your preferences! How awesome is that?? Additionally there is a My Sources section that allows you to pull similar posts from the blogs you have in your preferences or relevant online content to add to a Related Articles section which will post at the end of your blog! If you blog, you should definitely add Zemanta to your list of Must Have tools! Take a look at the video below and it will give you a quick demo. I noticed recently after starting to manage another brand that I have been getting SLAMMED with Spam. I literally have 870 comments, all of which are probably spam. Of course I have a filter to address this, however it is very annoying, stupid and very time consuming to address. Honestly, I really have never seen so much nonsense in my entire life. My thoughts are why would a person even bother, just to get a link? The biggest question in my mind is , ” Wouldn’t it just be easier to build your own traffic?” This is especially the case since most people that blog have some kind of filter to block this kind of thing so the spam won’t even get approved. Take a look at the infographic below to get a view of The History of Spam. One of the things that Social Media peeps battle on a regular basis is content creation, which is the ideal way to extend your brand identity, expand your network and potentially created avenues of opportunity to meet clients. This is one of the reasons that content is king! We all know that social media can be very time consuming if done properly and worse if not done properly. Either way social media can take a great portion of allocated time so there is always a quest to find ways to continue providing great content while managing time effectively. Can you say Content Curation?? Well, I LOVE Content Creation! I do not exclusively curate content, but I balance original content creation and curation which provides an abundance of information to my followers. I realized early on with social media that I could NOT provide the amount of content that I wanted to my followers because there is just not enough hours in a day. Additionally, I can only provide my perspective on any one subject. Enter Content Curation, which allows me to provide an abundance of information to those that follow me while providing different perspectives other than my own. My absolute favorite platform used to curate content is Scoop.it. There are others but I’ve found this fits my needs so much more than the others. As you can see I cover a wide variety of topics all of which are so very different but relevant to what is going on now in the technology industry. Curation allows me to focus on all of these topics, supply unlimited amounts of information and all from different perspectives. Still confused about Curation? Take a look at the video below, it will give you a funny take on content curation. Ok, get to it! Start Curating….